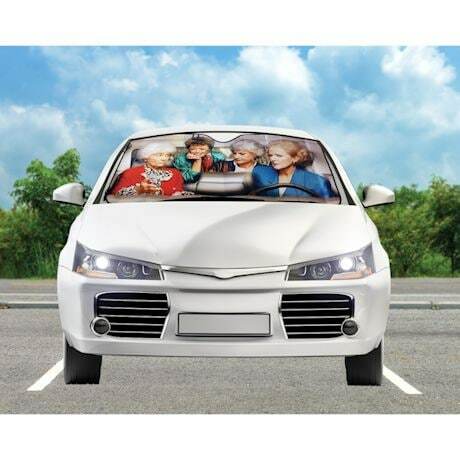 A hilarious way to get double-takes in the grocery parking lot, this sun shade shows the Golden Girls in all their glory; well-constructed shade is made of vinyl. Sized to fit most cars and trucks. 57" x 28".